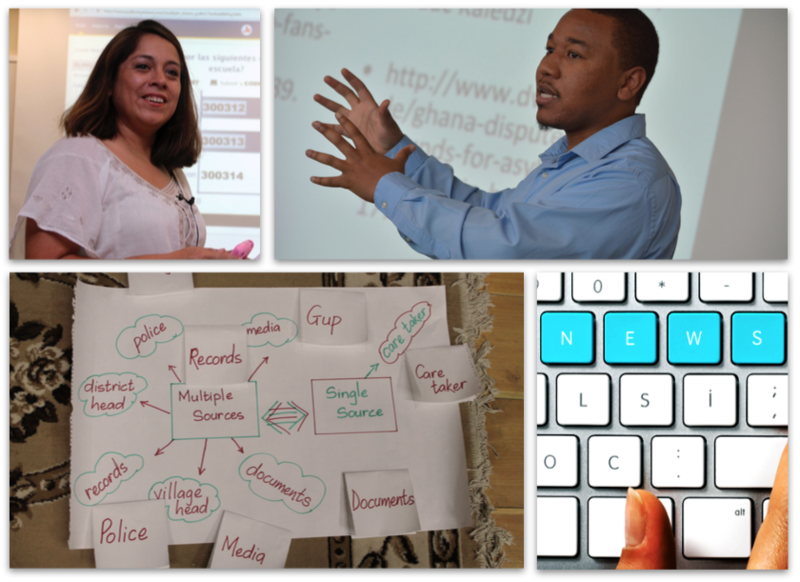 If you’d like to learn more about News Literacy and about how to teach it, here’s a range of options, from bite-sized bits to full meals and even full-length training courses. News Literacy classroom tips on YouTube: From first-year survivors through veteran lecturers, News Literacy’s leaders share advice and experiences in short videos aimed at teachers who want to add News Literacy to their classroom. Newsmosis: Howard Schneider, the Godfather of the News Literacy movement, tells TED viewers about the need for News Literacy as the antidote to “Newsmosis,” a passive state of information overload. "You don't want to hear it (and that's a problem worth working on)": Previous Center for News Literacy Director Dean Miller challenges TED viewers to fight the human tendency to block out facts that make us uncomfortable. “Watching TV News: How to be a smarter viewer” is a free three-hour online course offered by the Poynter Institute for Media Studies through its News University. Register and work at your own pace. This course will change the way you watch TV news by giving you the tools to judge for yourself whether what you see is fair, accurate and reliable. To help you do that, we will take you behind the scenes to show you how television news works and how professional journalists make the decisions that affect what you see every day. How to reinforce objectivity, news research and consumption skills among Millennials: A paper about the News Literacy movement for The Brookings Institution, a nonprofit public policy organization whose goals include strengthening democracy. News Literacy Basics Online Course Book -- In the Summer of 2015, the Center for News Literacy embarked on its second offering of an Online Course that outlined the basics of News Literacy, closely mimicing the course that we teach over the course of 14 weeks at Stony Brook University. It is a work in progress, but if you are looking for a quick way to brush up on your skills or delver a bit deeper into the course, its a great way to get started. Making Sense of News, an updated version of a six-week all-online Coursera course launched in January 2017, is a joint project of Hong Kong University’s Journalism and Media Studies Centre, and the Center for News Literacy. The course is hosted by faculty and staff from both Universities. The Hong Kong University team has taught News Literacy to undergraduates at HKU and run workshops for News Literacy teachers in China, Vietnam, Myanmar, Japan and Malaysia, and is now offering the course online.